There are plenty of dessert options for dieters who follow the Atkins, Paleo, South Beach, or any other low carb diet. Some people find it hard to come up with diet-friendly desserts, but there are ways to fit many desserts into a low-carb diet. It is important to remember that baked desserts are usually made of batter or contain wheat flour. Flour is on the list of excluded foods. There are healthy flour substitutes such as nut and almond flour, coconut flour, and flaxseed meal. You can use almond flour to make low carb muffins and pancakes, yogurt waffles, or splenda and almond flour brownies. Made of whole or blanched almonds, almond flour contains large amounts of monounsaturated fats, protein, vitamin E, and magnesium. Note that cookies and cakes brown more easily, and you may want to bake at a lower temperature. Coconut flour is a good flour substitute, and you can use it to make pancakes, raspberry muffins, sugar-free cakes, and cupcakes. Coconut flour is high in protein, fiber, potassium, calcium, and iron. There is more fiber in coconut flour than in wheat flour and wheat bran. If you use only coconut flour and no wheat flour, you should add eggs (add 1 egg for every ounce of flour). If you use both coconut and wheat flour, add water to the mix or your cookies may be dry to taste. Flaxseed meal is also a flour substitute and an ingredient in many tasty desserts. You can make flaxseed cookies, cakes, and cheesecakes. Flaxseed meal is rich in omega 3 fatty acids, antioxidants, fiber, and minerals such as manganese and magnesium. It contains lignans which reduce the risk for prostate and breast cancer. Cakes with flaxseed meal brown more easily, and you may want to reduce the oven temperature. Add water to the mix if you use wheat flour and flaxseed meal. In addition to flaxseed meal and almond and coconut flours, you can use walnut and hazelnut flour. You can use walnut meal instead of almond flour. This will give a rich, nutty flavor to desserts. Hazelnut flour is high in protein and healthy fiber and contains iron, calcium, and phosphorus. You can use hazelnut flour to make cookies, cakes, muffins, and other tasty desserts. With so many flour substitutes, you can choose from a large pool of delicious, low carb desserts. You can make barley-oat cookies, cheesecake, coconut cake, pumpkin crème brulee, and other pies, cakes, and treats. When making desserts, you may want to use sugar substitutes such as splenda as well as sugar-free chocolates. Use chocolate sparingly as it contains small amounts of carbohydrate. Opt for dark chocolate which contains antioxidants, iron, magnesium, and copper. Substances in dark chocolate help to harden tooth enamel, protect the body against some types of cancer, and control blood sugar levels. You can also use different fruits to make delicious cakes, creams, and other treats. There are many low carb fruits such as cranberries, raspberries, peaches, and blackberries. You can prepare strawberry cobbler, strawberry smoothie, rhubarb and strawberry crunch, or blueberry muffins. 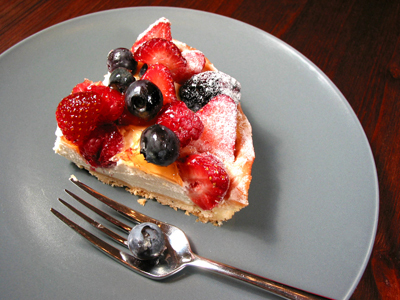 Cheesecake is typically made of cream, eggs, sugar substitute, and cream cheese. It tops the list of desserts suited for a low carb diet. Alternatively, you can make chocolate fudge using cream cheese, nuts, splenda, dark chocolate, and butter. You can try other low carb recipes as well. You can make tasty desserts such as lemon mousse, strawberry mousse, strawberry shortcake, cream cheese frosting, and many others. If dining out, it is best to skip dessert or taste your tablemates’. Make a low carb dessert the day before so that you can indulge when you come back home. While it is recommended to avoid wheat flour, chocolate, and sugar, there are healthy substitutes to prepare a large selection of delicious desserts.